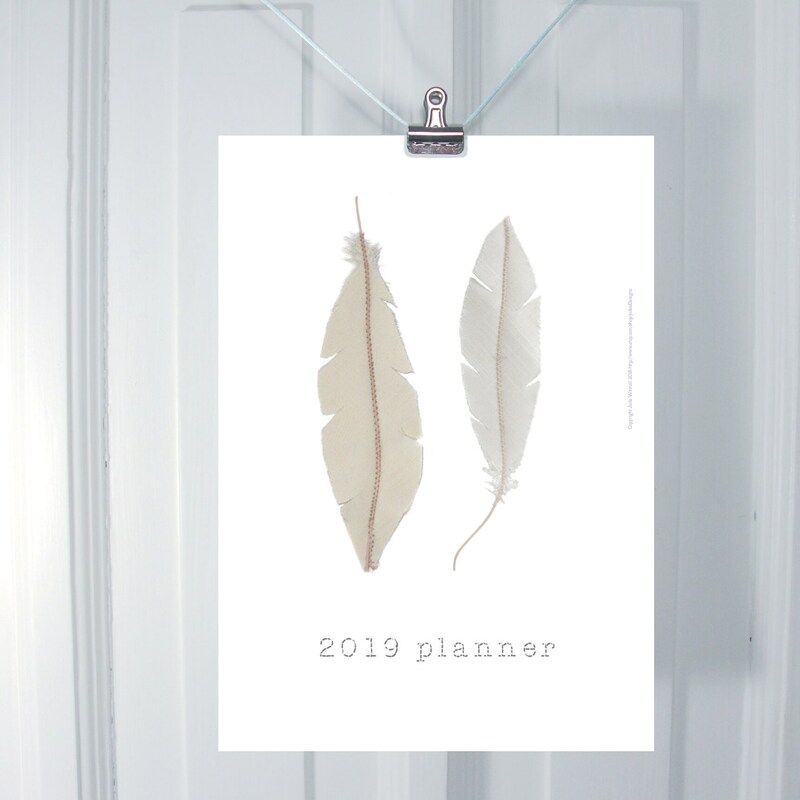 Instant download of printable 2019 monthly planner with colourful fabric feathers. This is a pdf for you to print yourself. It can be printed at A4, Letter size or A5 size. 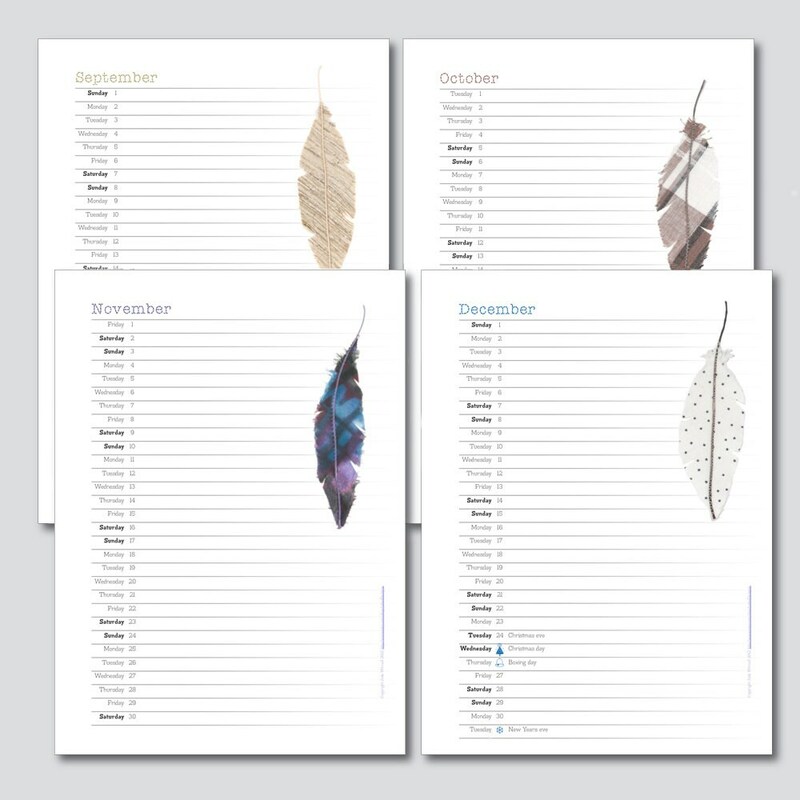 Suitable refills for filofax type organisers or ring binders. 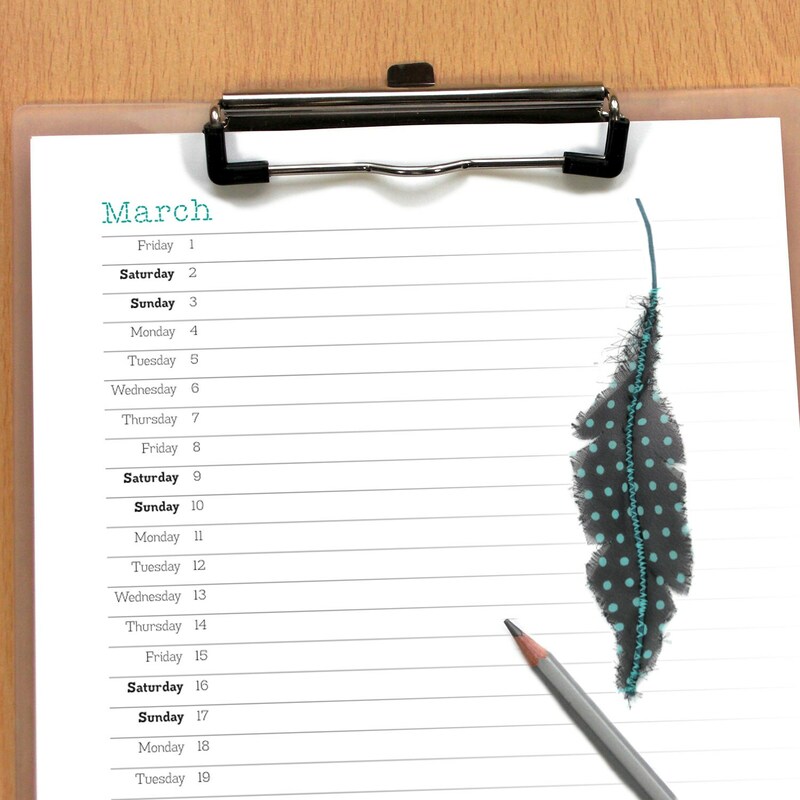 Like all my planners it has lots of room to write and doodle – there's nothing better than a paper version when it comes to planners. 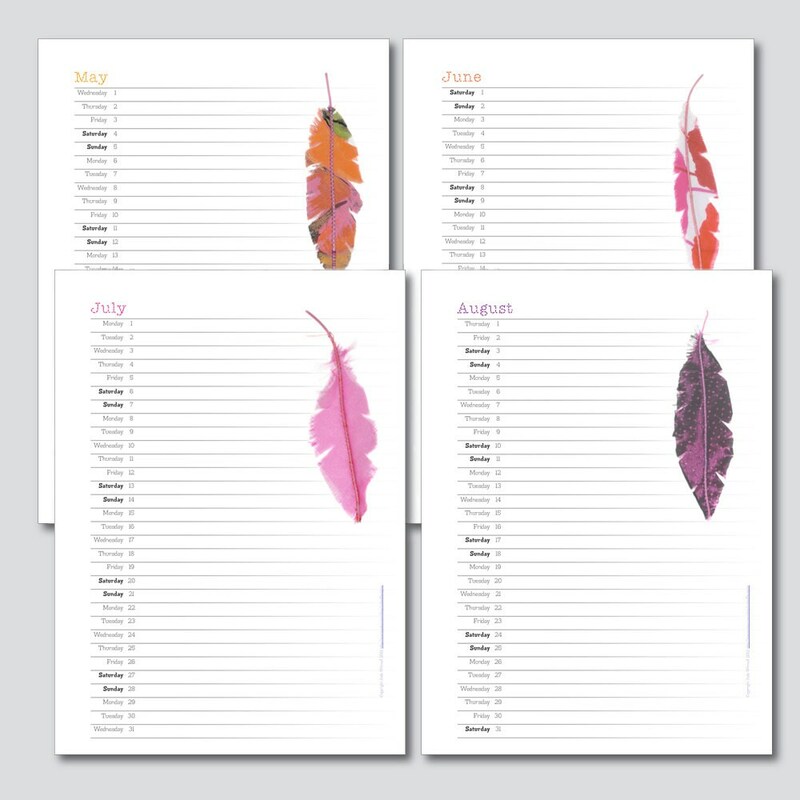 It is a pleasure to use and features colourful fabric feathers (that I made and photographed) and the month on each page is typeset in one of my fun stitched fonts. The lovely colours, textures and patterns of each month echo the changing seasons. 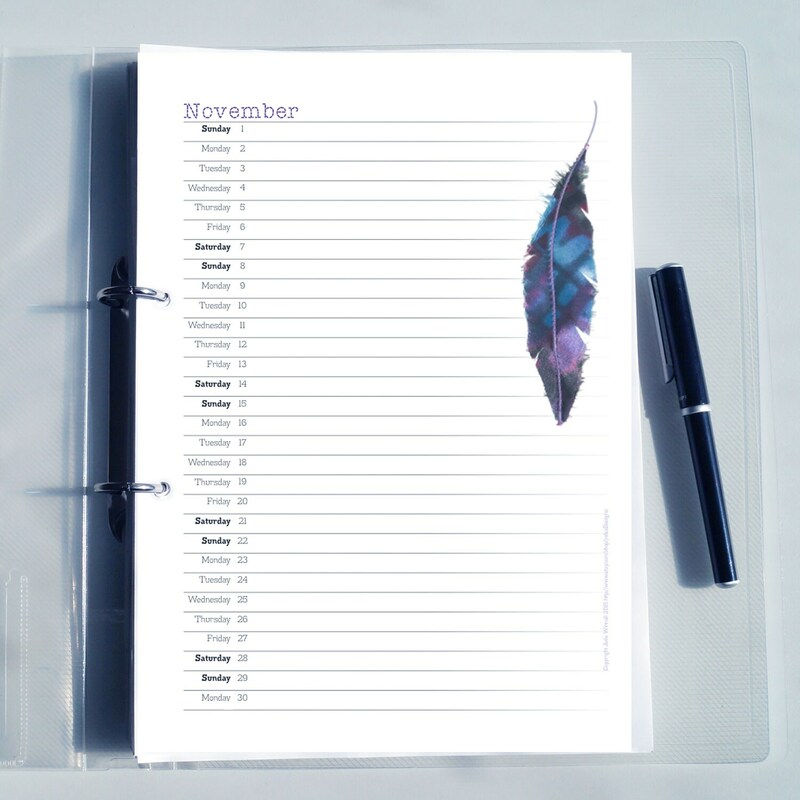 The planner can be used on a clip board or bound with a bulldog clip. If you punch one or two holes along the top edges you can hang your prints by a cord or treasury elastic. Alternatively punch holes on the left hand edges so it fits a ring binder or organsier. • Printing instructions are included in the pdf. 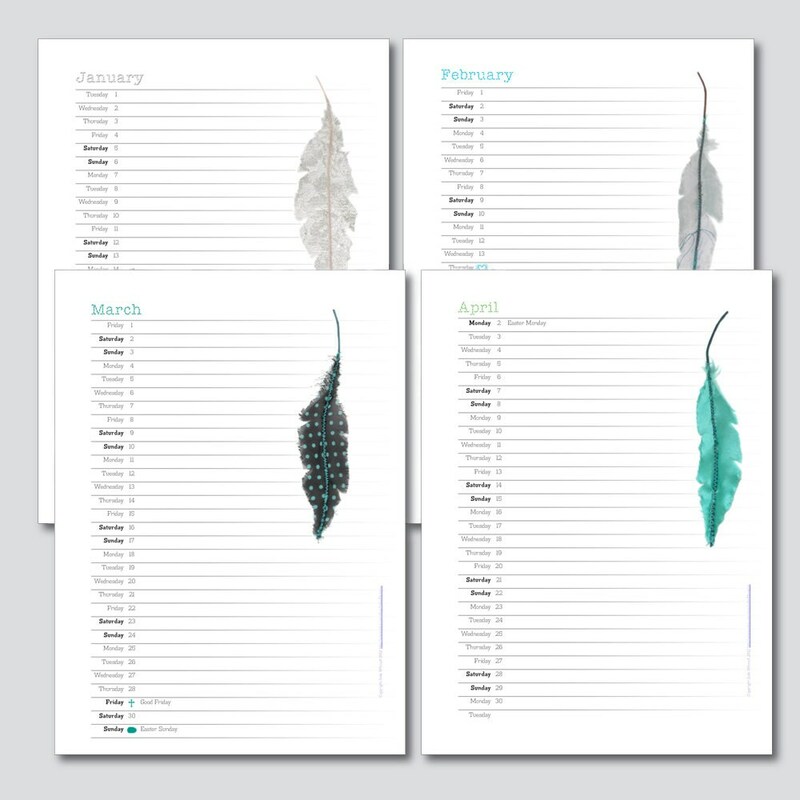 • 12 inserts, one month per page. • From January 2019 to December 2019 inclusive. • Includes Valentine's day, Easter, Halloween, Christmas and New Year. No other public events are included so you can add your own. • Functional and clear typography. • Small copyright credit on every page. • No watermarks on images. • No shipping costs. As soon as you have paid you can download the pdf. • Document size 1.47 MB. Every page has a small and faint copyright credit running up the right hand edge which will not interfere with your plans. Pdf's are password protected so printing is restricted to low resolution output on home or copy shop printers. Text and images may not be edited or copied. You are not permitted to sell or distribute the pdf's. You are only allowed to print the pdf's for your own use but you may print as many copies as you like. Purchasing from JudesDesigns is acceptance of these terms and conditions. I had to paint it over with colours to make some of the pages a bit more visible. A bit annoying that there was a watermark on all the pages, making less space for the planning of the day. Worth the money though. Love. Everyone in my office comments on how beautiful it is!